"Harrison presented himself and H-1 to the eight commissioners who sat in judgment of his work. ... Harrison had everything to gain. He stood there with his prized possession before a group of profes­sionals and politicians predisposed to be proud of what he'd done for king and country. He had every right to demand a West Indies trial, to prove H-1 de­serving of the £20,000 promised in the Longitude Act. But he was too much of a perfectionist to do it. "Instead, Harrison pointed out the foibles of H-1. He was the only person in the room to say anything at all critical of the sea clock, which had not erred more than a few seconds in twenty-four hours to or from Lisbon on the trial run. Still, Harrison said it showed some 'defects' that he wanted to correct. He con­ceded he needed to do a bit more tinkering with the mechanism. He could also make the clock a lot smaller, he thought. With another two years' work, if the board could see its way clear to advancing him some funds for further development, he could pro­duce another timekeeper. An even better timekeeper. And then he would come back to the board and re­quest an official trial on a voyage to the West Indies. But not now. "Not only did H-2 survive this drubbing but it won full backing from the Society ... but it wasn't good enough for Harrison. The same vicelike conviction that led him to his finest innova­tions -- along his own lines of thinking, without regard for the opinions of others -- rendered him deaf to praise. What did it matter what the Royal Society thought of H-2, if its mechanism did not pass muster with him? "Harrison, now a London resident and forty-eight years old, faded into his workshop and was hardly heard from during the nearly twenty years he devoted to the completion of H-3, which he called his 'curious third machine.' 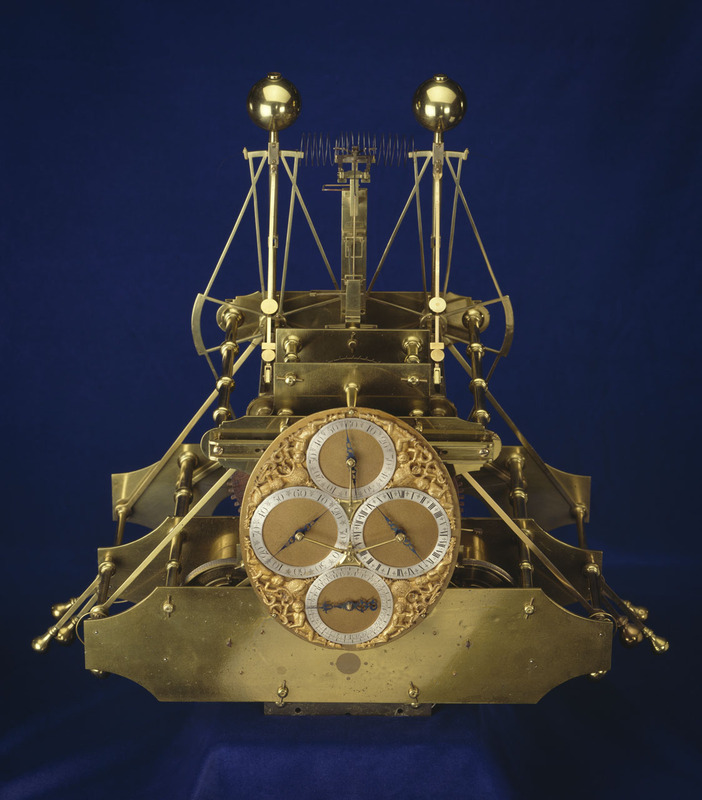 He emerged only to request and col­lect from the board occasional stipends of £500, as he slogged through the difficulties of transforming the bar-shaped balances of the first two timekeepers into the circular balance wheels that graced the third."